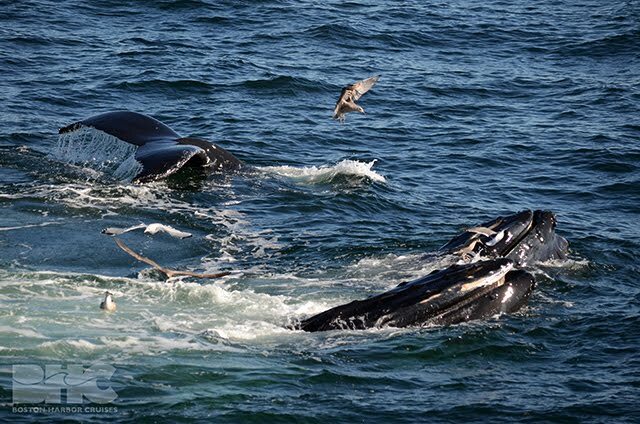 Stellwagen Bank was full of excitement this afternoon! 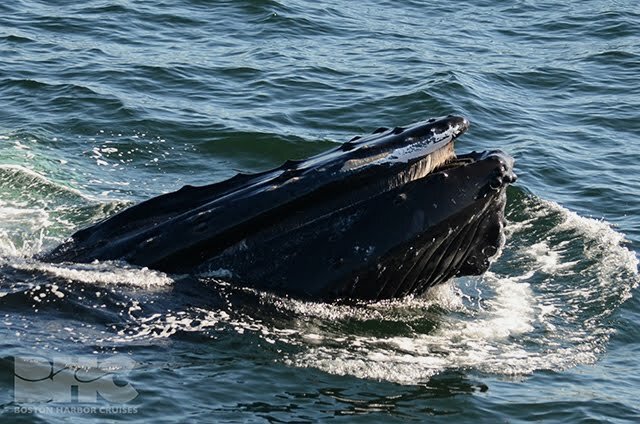 As Captain Joe and our team of whale watchers arrived on the bank, the numerous birds was a sure sign of a great whale watch ahead. 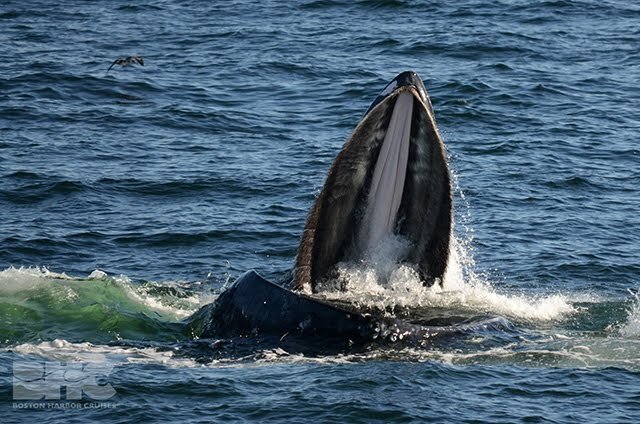 Though we had to search a little further southeast than usual, we were pleased to find three groups of surface feeding humpbacks attended by hundreds of gulls, shearwaters and various other bird species. 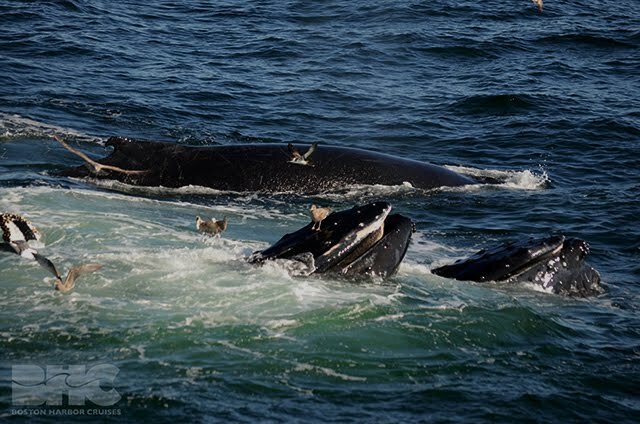 Among these whales, we were lucky to spot three mother-calf pairs including Whirlygig, Diablo, and Hancock. Pitcher, Colt and the mothers were very erratic in their feeding behavior making it difficult to anticipate where they would surface next. Luckily, the bright green bubbles and hovering birds helped us find their next surface lunging location. 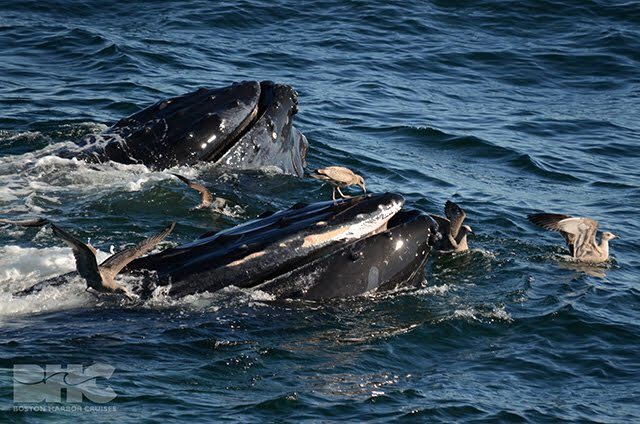 These whales feasted on sandlance using mostly bubble nets accompanied by occasional kick-feeding. Diablo spent a lot of the time in the lime light with her unique chin-kick-feeding which created huge splashes before she went down on a dive (see photo). She also exhibited an unusual behavior following drag-filtering where she threw her chin up a couple times before submerging again, possibly to toss those sand lance toward the back of her throat and down the shoot. 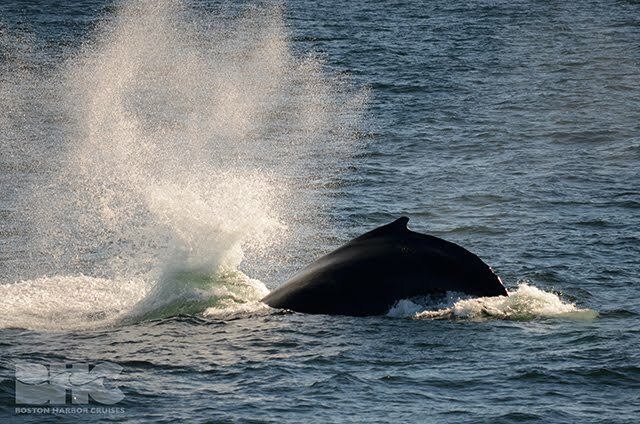 Diablo’s calf even gave us a nice tail breach before we turned back for Boston! It was another glorious day out on Stellwagen Bank!